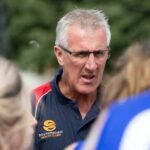 Buy Xanax Gg249 Online Port Melbourne are back on the winner’s list after overcoming Richmond in a regulation victory at North Port Oval on Saturday. http://www.daviddalegallery.co.uk/buy-adipex-in-malaysia Coming off a 6-day break after a gruelling contest against Williamstown, the Borough played some solid football and kept the Tigers at arm’s length all day before prevailing by 43 points, 13.16.94 to 8.3.51. Buy Diazepam Uk Next Day Delivery The victory was set up with an early four goals-to-one burst inside the first 20 minutes, a lead which was never seriously threatened as the afternoon progressed. A 20-point quarter time lead was extended after a free-flowing second quarter concluded with a fantastic running goal from the ever-impressive Damian Mascitti, and Port entered the sheds at the main break with a comfortable 34-point buffer. Buy Valium Hua Hin The third term was an arm wrestle, as a rise in Richmond’s intensity around the contests resulted in just three majors being added to the half-time score line. Buy Valium Spain The game again broke open in the last quarter, but Port’s failure to capitalise on several opportunities in front of goal meant that it was unable to extend their lead much further. http://www.irishroverstationhouse.com/24nqlckgk2 Three late goals to the Tigers inside the last five minutes also took a little gloss off the final margin, but the game was still well and truly in safe keeping by the time the final siren sounded. Buy Adipex In The Uk Mascitti was the dominant force of another outstanding defensive display by the Borough backs, as he accumulated 28 possessions to go with six marks and a goal. 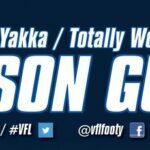 Order 3Mg Xanax Online The Tynan brothers, Josh (32 possessions) and Luke (24), arguably put in their best performances of the season proper. 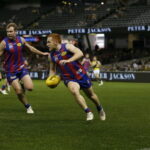 Khan Haretuku was again a key figure in the ruck as he battled AFL regular Ivan Maric (pictured), whilst youngster Josh Halsall put in another energetic performance in the forward line, slotting two goals and playing a part in others. http://www.goodtosee.com/buy-roche-klonopin Blake Pearson and Hugh Sandilands were the other multiple goal scorers with two each. https://www.beachgroupflorida.com/35236251 The only sour notes to come out of the win were a minor hamstring complaint from Josh Scipione and a bruised ankle to in-form key defender Brody Mihocek. Both should still push for selection in Round 6. Order Yellow Xanax Earlier in the day, the Development League pulled off a fantastic victory over the highly-fancied Sandringham, opening their account for season 2016 with an 18-point win, 13.10.88 to the Zebras’ 10.10.70.
http://www.irishroverstationhouse.com/sbcw1j6 Midfielders Steve Murray, Tom Gordon and Jake McKenzie all stood out, as did Billy Hogan with four majors. http://www.sterlingvehicles.co.uk/72948722 Pleasingly, ex-Richmond player Matt Arnot pulled up well from his first outing of the year and is also expected to begin pushing his case for Senior selection in the coming weeks. https://goyt-valley.org.uk/lorazepam-order-bromazepam The Development side will now enjoy a Bye in Round 6, whilst the Senior side will tackle Footscray at North Port Oval at 2:00pm on Saturday. Buy Carisoprodol Uk That clash will be preceded by a VFL Women’s curtain raiser between the St. Kilda Sharks and Melbourne University at 11:00am. 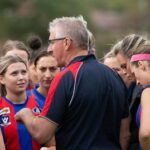 The club encourages all Port Melbourne members and supporters to arrive early to cheer on the girls as part of another ground-breaking moment in the VFL competition. http://www.goodtosee.com/order-diazepam-online-australia Goal Kickers: B. Pearson 2, J. Halsall 2, H. Sandilands 2, M. Hayes, N. Dixon, J. Tynan, A. Urban, S. Clarke, D. Mascitti, J. Scipione. Best Players: D. Mascitti, J. Tynan, S. Lange, L. Tynan, K. Haretuku, J. Halsall. Buy Clonazepam Overnight Goal Kickers: B. Hogan 4, S. Bevan 2, F. Brancatisano, H. Hooper, A. Mioni, J. Williams, M. Neiwand, K. Dove, T. Gordon. Best Players: S. Murray, B. Hogan, T. Gordon, J. McKenzie, M. Wenn, A. Walker. Buy Xanax Xr 3Mg Photo courtesy of Tony Cannatelli.